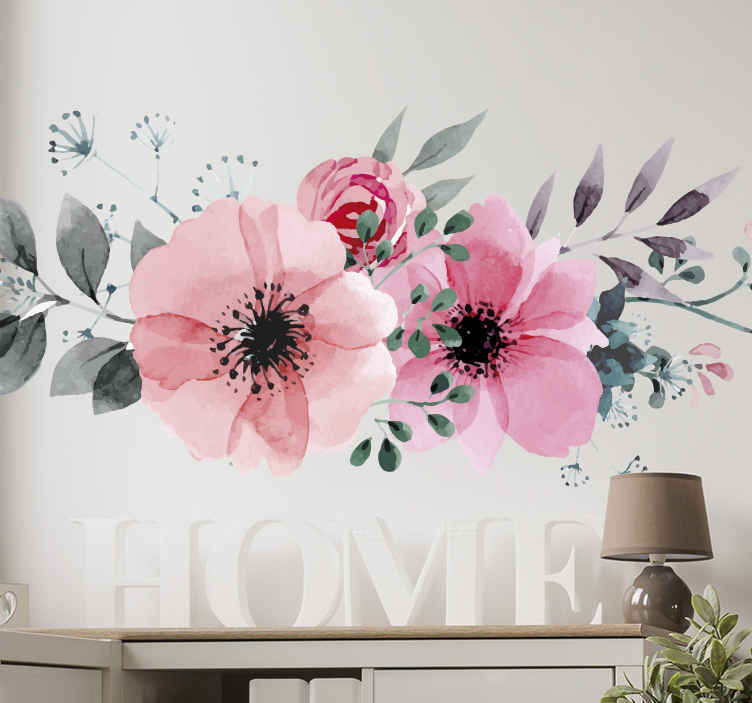 A pink floral decal to decorate your home with. Amazing illustration from our collection of floral wall art stickers. The design features 3 brightly coloured pink flowers. Our floral stickers are easy to apply and leave no residue on removal.